The 40m superyacht with a beam of 8m, was built in 2012 by Princess and refitted in 2018, She has a top speed of 20 knots and cruises at 14 kn. She has an enthusiastic crew of 7 who will make your journey on board such an enjoyable and incomparable experience. The interior styling is very cozy, chic and stylish with a contemporary feeling. 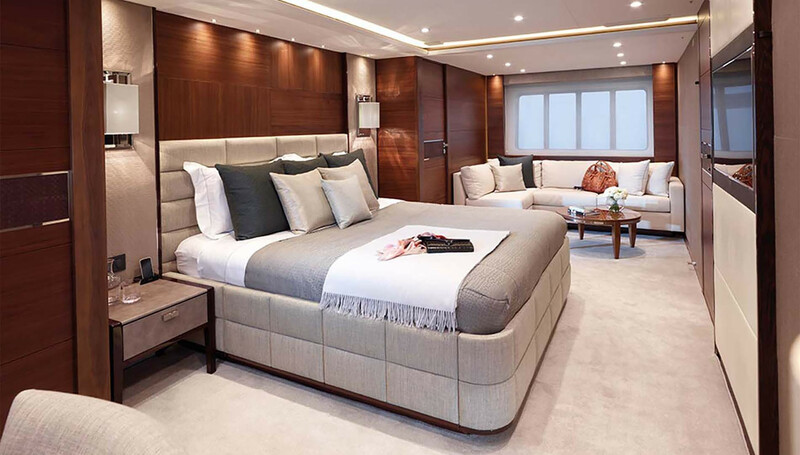 The full beam Master stateroom, located on the main deck, is spacious with a full king-sized bed, seating area, office space and en-suite his and her bathroom facilities as well as two walk-in wardrobes. One luxurious full beam VIP cabin though more intimate with a Queen-sized bed and corner settees in addition to the en-suite facilities and walk-in wardrobe. One double and Two cabins with pullman both convertible in doubles. In addition to her 6.5m custom Rib X Tender with a Mercury Verado 150hp engine, she carries a varied assortment of toy including two Sea-doo wave runner 3-seater jet-ski, 2 Paddle boards 2 kayaks 2 wake boards, 1 set of water-skis and 10 sets of snorkeling gear. This ensures that there will be something for everyone to enjoy. 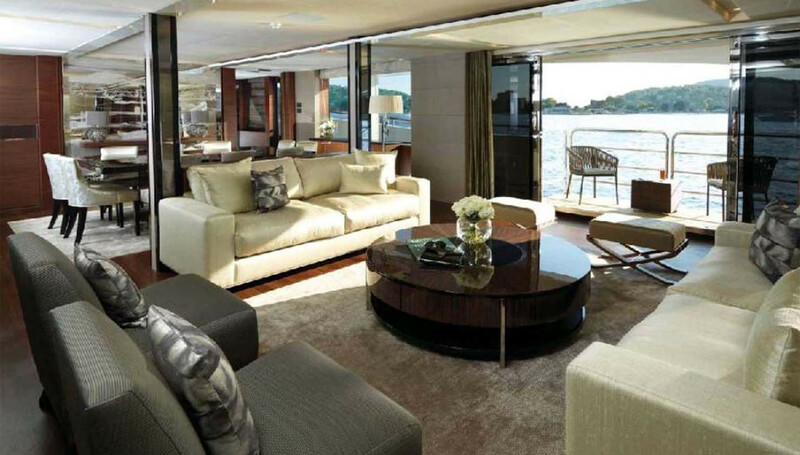 Available for charter M/Y Imperial Princess Beatrice and lying in the bay of Cannes, she is the most adequate charter yacht for your 2019 summer getaway.